I have barely thought about Guardian Girl for the past year or so. Recently, though, I keep bumping into people I haven’t seen for a while who ask me if I’m still doing it and why I stopped. I always tell them it cost too much money, freedom and vascular health, any one of which would be a good reason to stop a blog. Yet despite repeatedly going over the reasons why this is such a stupid idea, just thinking about the subject planted evil seeds of temptation in my mind. On Saturday I finally got to thinking that it really has been too long since I’ve had a legitimate outlet for my third-rate puns and crushingly unflattering photos. I used to think that reading blogs was only for idiots, so I had no idea of the benchmarks when I first started doing all this business. Since I’ve been away I have read quite a few, which has allowed me to realise that blogs are rubbish, bloggers are morons and I don’t actually have to worry about being a good writer, saying anything clever or having any sense of dignity at all. This realisation has spurred me back into action. Happily for posterity’s sake, we begin again with pies and swimwear! As you will shortly see, not that much has changed in the past year. A bad start on the formatting. A bad start full stop, maybe. I did put a skirt on before I left the house. Don’t really know what the caption means – is meant to capture a general feeling, I think. So that’s swimwear covered for the day; now on to the lard. 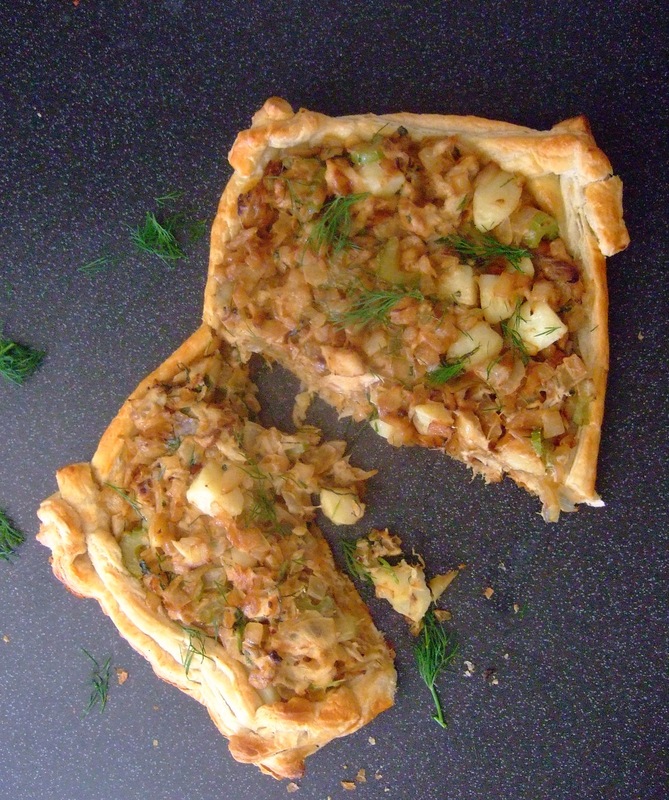 I should mention at this point that in the time I’ve been away I have managed to shack up with a man whose appetite for a good pie matches – and possibly even exceeds – the indiscriminating gusto with which I cook them. This is a great relief because although eating two portions of pie for dinner isn’t ideal for a person, eating four is very much worse. It hurts to be so positive, but this really did come out good. A great recipe Hugh, ta mate. 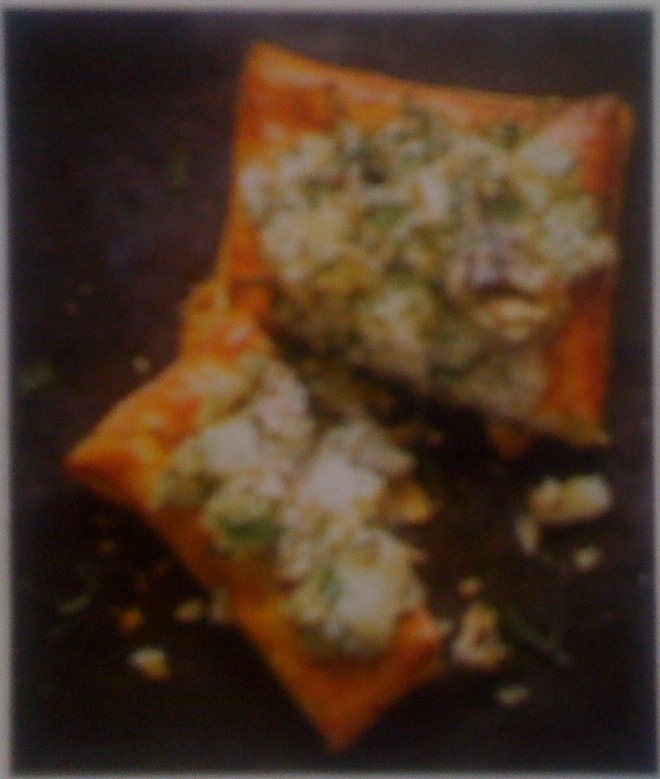 I used cheat’s roll-out puff pastry obviously, and ready cooked and smoked mackerel. Most of my potatoes had turned green and sprouted like so many limited-edition Shrek Mr Potato Heads (? quip too forced? and also why use ‘so many’ like an american when you from england?) so I chucked those out and just used the remaining couple that were just squidgy, not deadly. Are you supposed to save green potatoes to polish your silver and clean your windows with? I need to ask that woman with the big weird plait who turned out to have buried her stillborn child in a park. Anyway I am digressing into offensive territory here. The pie was delicious, all agreed. Second outfit of the week and it has been a sweltering day. 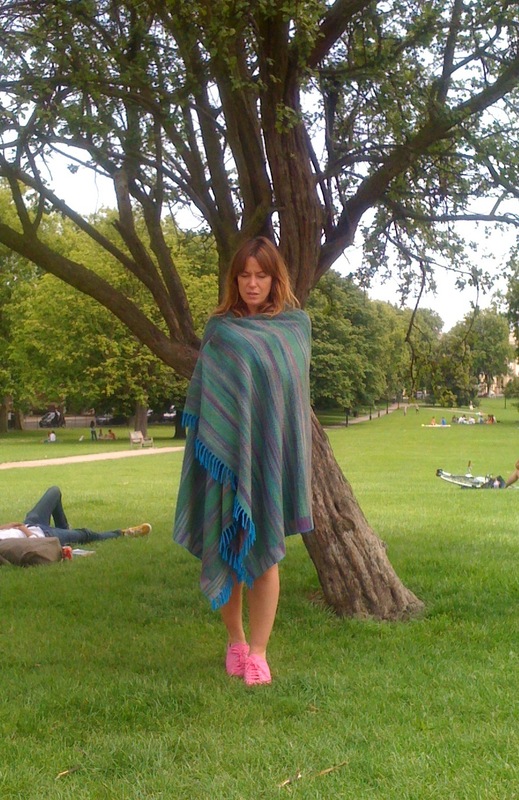 Needless to say, the blanket only stayed on briefly while Miguel (photographer of the day) took this distracted iPhone shot in which I can’t even keep my eyes open. That’s being wrapped in blankets for you. The rest of the day I resorted to the most pink and blanketlike dress I own, which is just a pink dress. Measurewise, I have got on the case in astoundingly conscientious fashion and purchased myself some leg make-up, so as never to stray into the sheer-infested territory of Pippa M’s fashion mishaps, and a collected works of Jane Austen so I can understand what this whole Anna Wintour parallel gag is about. Totally with her on the smileys though. I have neglected to purchase any Stella McCartney eveningwear (guess why), drink a G&T with cucumber (taking it easy on the booze at the mo) and am not yet sure what I’m going to do about this issue of the Orrefors crystal tumbler or HBC modelling for Marc Jacobs. Off to cook courgette and not-lovage pasta now. Has anyone managed to track down any lovage this week? Sorry about blurry and malformatted photos etc. One day I will neaten all this up. You are back! Finally the earth is back on kilter. Is that a crushed wasp on your right upper arm in the “Forbade hiding” picture? Lovely blog, but I have no idea how I wound up here. All I know is that I’m digging through your archives. Whoah, you must be really good at Where’s Wally. Glad you’re enjoying the blog. I must return soon for a bit more horsing about.